FERA Danish member, Danish Film Directors, and other organisations part of the collaboration Create Denmark are challenging foreign streaming services to apply the Danish creative rights model to all future agreements. Read the Danish Film Directors’ press release below. European artists and politicians are currently working on leveling the playing field and placing further demands on foreign streaming services. Now the time has come for Danish artists to take a stand and join forces against the streaming services’ buy-out model. 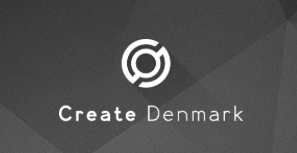 Under the collaboration called Create Denmark, Danish actors, film directors and writers now challenge the streaming services to apply the Danish creative rights model to all future agreements. Fact: Under the Danish creative rights model the production costs for Danish productions are kept low (this is necessary because the language field is small). This is possible because the artists receive supplementary rights payments on a recurring basis. The alternative would be a higher salary. The Danish creative rights model has been well functioning in all Danish productions for 30 years. Opposingly, foreign streaming services’ use a buy-out model to buy out everyone up front and only the streaming service profits from all the revenue generated through subsequent use of the production. According to Chairman of the Danish Actor’s Associations, Benjamin Boe Rasmussen, streaming services should, of course, be able to conduct proper business, but they have to pay the actual costs and they must respect the Danish system. “It is the core of our system that you can produce [film and series] for a relatively low salary because we all get a share of the productions’ earnings. If we accept their model, we risk that the earnings from Danish productions disappear from Denmark,” he says. “The streaming services’ buy-out model does not, in any way, accommodate the possible earnings Danish artists would receive under the current Danish creative rights model. If we accept the streaming services’ conditions, we risk a future with significantly lower earnings, in general. We cannot accept that,” he says. Therefore, the artists’ associations now challenge foreign streaming services to accept the Danish creative rights model to all future agreements. “In Danish production we take risks collectively and that is, fundamentally, a healthy principle that has been the key stone in the ecosystem for Danish content production. Even though the streaming services make good Danish productions these days, Netflix’s purpose is, for instance, not to please a Danish audience but a global one. This is evident within the streaming service’s motto; Local productions for a global audience,” says Christina Rosendahl, Chairman of Danish Film Directors. The Danish creative rights model is implemented in collective agreements and standard practices and is significant to Danish artists. It has existed for many years and is well integrated and fully functional. The Danish market is used to the model and can relate to it. Download the PDF version of the press release here. Read the Information to International Partners here.